What’s as beautiful as naturally straight teeth, more convenient than getting porcelain veneers, and much more affordable to boot? A Snap-On Smile! 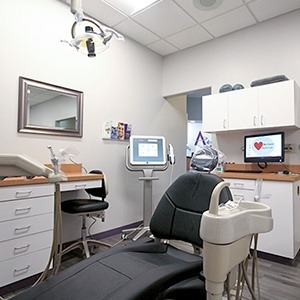 At Advanced Dental Care, Dr. Jorgenson has worked with dozens of patients who wanted a beautiful smile without spending the time and money often required for other cosmetic procedures or orthodontics. With a Snap-On Smile, as the name suggests, you just snap on your smile and go on your way. Why Choose Advanced Dental Care for Snap-On Smile®? Each Snap-On Smile fits snugly yet comfortably over your teeth. There’s no need to prepare or alter your teeth, which is a requirement for porcelain veneers. 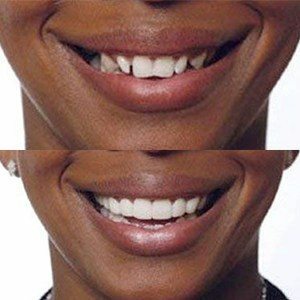 This smile-changing appliance fits directly over your teeth just as they are—chips, cracks, breaks, gaps, and all. And it’s perfect for a smile with crooked or even missing teeth, too. Snap-On Smile can be designed to fit along either or both of your upper and lower arches of teeth. A Snap-On Smile is made of strong dental resin that resists cracking, warping, and staining. 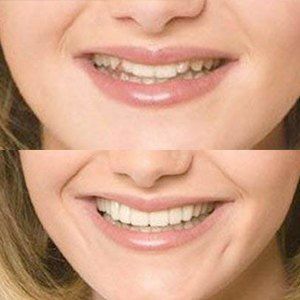 To keep your Snap-On Smile in mint condition, Dr. Jorgenson will provide you with a special cleaner and instructions on how to care for your new smile. Cleaner refills are also available from your Costa Mesa dentist. Getting a Snap-On Smile does not require any shots of anesthesia, drilling or tooth reshaping. All you have to do is schedule two easy appointments. At the first visit, Dr. Jorgenson will determine if you are a qualified candidate for Snap-On Smile. Most patients are, so then we’ll make an impression of your teeth just as they are. In a few weeks when your new Snap-On Smile is ready, you’ll return to our dental office for the final fitting. If necessary, Dr. Jorgenson can make minor adjustments to ensure that the appliance is completely comfortable for you. Then, you’ll be able to wear your new smile home! Of course, there will be an adjustment period when you first start wearing your new Snap-On Smile. Speaking will feel different, but most patients report that their speech is back to normal within two weeks. Dr. Jorgenson recommends wearing your Snap-On Smile for the better part of each day in order to adjust more quickly. And don’t be afraid to eat whatever you like with your Snap-On Smile. The only thing you shouldn’t chew is gum! Want to learn more about Snap-On Smile? Call our Costa Mesa office to schedule a consultation with Dr. Jorgenson. We are happy to serve patients from Irvine, Newport Beach, Huntington Beach, and beyond.